In early 2014, we stayed a night in each of 15 Singapore hostels we selected from an original list of 30 we had carefully curated. 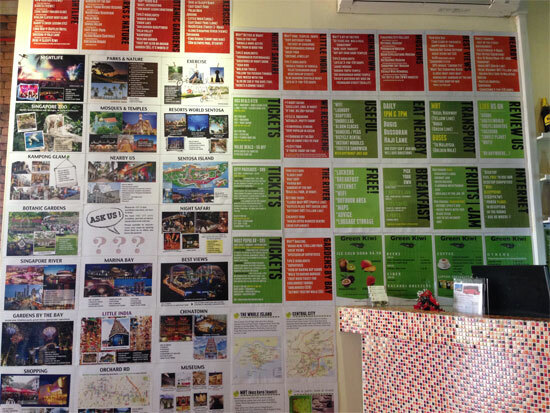 From those 15 nights, we hereby present some of our favourite hostels in Singapore. 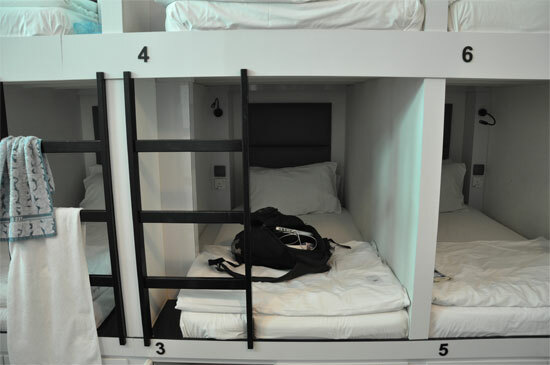 We can’t say these are the best, as with more than 100 hostels in Singapore in total, we haven’t stayed in them all. We can say, however, that the following hostels are terrific. Some are great for families, others for flashpackers, others still for couples (yes, there are double dorms) while a select few maintain that old-school backpacker vibe some travellers love. 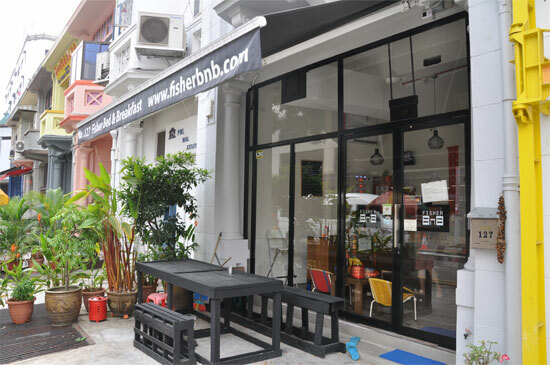 Fisher BnB was our overall favourite hostel in Singapore and if it fits within your budget, look no further. Opened in mid-2013, it offers immaculate dorm accommodation in a two-floor building on tongue-twisting Tyrwhitt Road in Lavender. Fisher BnB is a great catch. Lodgings at Fisher (the name refers to the original name of the street) come in mixed and female-only dorms along with a bunk-bed family room. Bunks are metal framed with spring mattresses, while oversized double lockers have plenty of room to fit a full-sized backpack plus daypack. The complimentary WiFi is fast and individual reading lights and universal power sockets for each bunk are functional touches. We stayed in the 18-bed mixed dorm and despite it being near full, there was enough space for everyone. As with the rest of the hostel, the shared bathrooms are spotless and with more space than we’d come to expect in a Singapore hostel -- the showers are positively spacious! 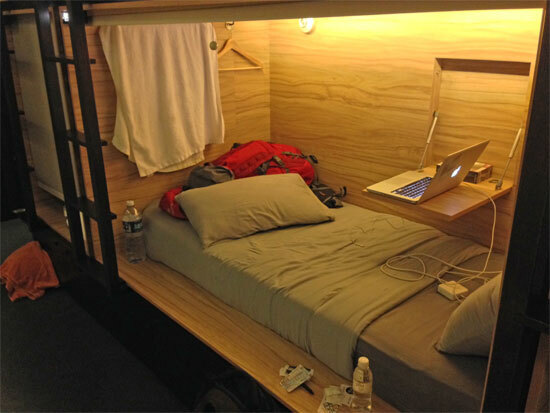 Set on Mosque Street in the heart of Chinatown, Wink is an "upmarket pod hostel". We had a single pod in a six-pod dorm and it was the most comfortable and spacious we tried. In our dormitory there was enough room to fit at least three more sets of bunks, but instead there was a single lounge. Easy to sleep a wink at Wink. Each capsule comes with its own plug and light, and in a very clever touch, when you enter the room with your security card, the light in your pod automatically switches on, negating the need to turn on the bigger light. Bedding is comfortable and the WiFi good. Capsules each have secure luggage storage below the bed. Bathrooms and showers are on the upper floor, which for us meant a trudge upstairs (there is a toilet on the lower floor but no showers). While the ground floor entrance is not keycard protected, your dorm and your locker are. Take care with your key. They are flimsy and ours broke while in our pocket and we were not impressed at losing our key deposit of $10. 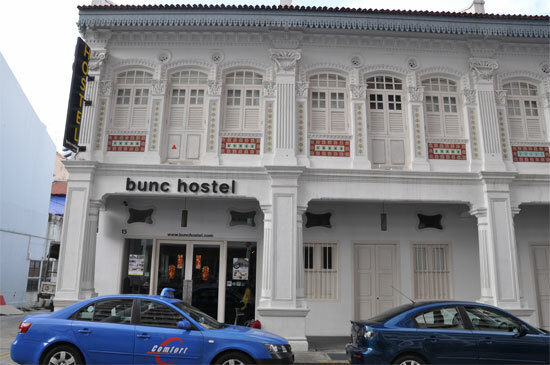 Bunc has properties in both Little India and Clarke Quay and we reckon they’re going to shake up Singapore’s hostel scene. You’ll be paying more than what you will at a more traditional hostel, but the jump in standards and comfort is more of a leap. 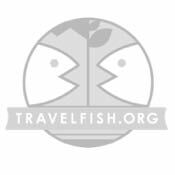 Flashpackers should look no further. Set across multiple floors in a spacious shopfront-style building, Bunc’s standard offerings (they call it a “medium-size” dorm) have four oversized bunks per room. The bunks are doubles on the lower level and singles on the upper. Dorms have chilled air-con, good mattresses, full linen, double pillows and a towel. Our dorm had no windows and once the lights were off it was absolutely pitch black. Our only complaint was the ladders to the top bunks are tricky to climb. Bathrooms are clean, but while the toilets have proper doors, showers have a curtain only, and an oddly placed fan kept blowing ours open! If you’re in the market for a hostel with a true traveller vibe, don’t go past The Green Kiwi in the heart of Kampong Glam. With a fabulous location just down from Sultan Mosque facing onto Bussorah Street, this hostel delivers the goods. Staff are excellent, with a hat tip to Benjamin in particular who couldn’t possibly have been more helpful. Down time not allowed at Green Kiwi. The accommodation is all upstairs and with 80 beds all up, sleeping quarters are cramped -- they’ve made use of every available square metre. That said the bunks are well looked after and comfortable with a good duvet, and each with a lamp. Bathrooms are medium sized but can get extremely humid -- more ventilation would be a great improvement. And unless you’re a very early riser, you’ll most likely need to queue for a shower. Lockers are on the ground floor and are very small -- really just for valuables as you’d not even get a daypack into one. The ground floor terrace is a very social area -- one of the best we came across. Of the midrange Chinatown Hostels, Beary Best! was our favourite. It’s a clean and comfortable set up, with friendly staff and solid facilities. The building is quite spacious and has a large amount of space given over to common areas for guests to congregate. Beary Best or Beary Bright? Brightly coloured throughout -- including the street frontage -- Beary Best! feels like it was painted yesterday as opposed to some hostels that feel like they last saw a paint of coat when Raffles was still kicking around. We had a bed in an eight-bed mixed dorm -- mid-sized by Singapore standards, but it felt super-sized as we had the entire dorm to ourself. Lockers are in the room and each bunkbed has its own bedside lamp -- but that is about it as far as personalised facilities go. You’ll need a keycard to enter the hostel, get into the stairwell and again to access to your room. Toilets and showers are adequate. The bear motif is carried throughout the hostel, sometimes in quite amusing fashion -- we liked the warning noting that people found smoking would be shot and those who survived that would be shot again. 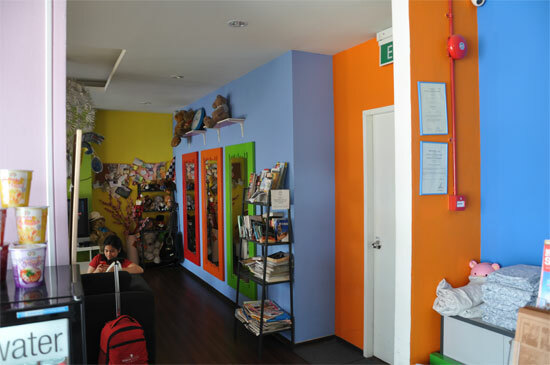 The InnCrowd has long been a backpacker crashpad of choice in Little India, and is a great value, very sociable old-style hostel. Our stay was in an eight-bed dorm on the first floor (private double and triple rooms are also available), looking over Dunlop Street. Clean and comfortable at InnCrowd. The "Inncrowd reception", even before arrival, was good as when I noted I wouldn’t be flying in till around 23:00 a staffer emailed me back explaining that the MRT would be closed by the time I cleared customs and made suggestions for alternative ways into town. The dorm wasn’t one of the most spacious I tried out, but there was enough room to move without tripping over too many backpacks. Bathrooms are shared, with no queuing, and are clean. InnCrowd has a very well-earned reputation for its social atmosphere and range of activities you can do from here. The Pod brands itself as a "boutique capsule hotel" and you’ll find it on the upper floors of a modern building on Beach Road, just around the corner from Arab Street in Kampong Glam. The look and feel is boutique, from the gift-box presented Nespresso cartridges at the front desk through to the polished bathrooms with arty tiles underfoot. Today’s office is at Pod. Two "pod" styles are available -- front entry, where your feet face towards the corridor, and side entry where you sleep parallel to the hallway. Mattresses are firm with clean linen and a small desk that descends from the side of the wall. A swipe-key secured locker lies below the bed and, at least with the side entry, there was plenty of space to cram stuff in. The pod has its own light and a single power outlet and free good quality WiFi is beamed throughout the premises. Most importantly, each pod has a blind that can be pulled down to give more privacy. Each floor has its own bathroom and with these facilities, which are really of a hotel standard, Pod Boutique is a fabulous choice. Pillows & Toast is a cute, clean hostel in a three-storey shopfront on Mosque Street in Chinatown. In particular, Pillows & Toast does really well with its staff -- and in a city with such a high standard of hostel staff, that’s saying something. The lockers match at well as the packs. The air-con dorms are upstairs and on the floor above them is a common area in an attic, but it lacks much in the way of natural light -- and furniture (aside from a big TV). Dorms are clean and they’re middle of the range size-wise but the wooden framed bunks were among the most wobbly we tried. Bathrooms are gleaming and well kept but expect to queue for a while for a shower. With wet feet watch yourself on the wooden stairs -- we took a nasty tumble. Security wise you’ll find lockers in the dorm coming in a couple of seemingly randomly allocated sizes. The hostel is fully locked down with keycard access required for your dorm and through the front door. Long-running Betel Box has been an equally long-running Travelfish favourite due to its interesting location on Joo Chiat Road and old-school backpacker vibe. Where’s the ping pong table? The hostel is reached via a pin-code-access door up a stairwell lined with what’s on information. The comprehensiveness of the information is indicative of both the effort involved in keeping it up-to-date and the passion owner Tony has for the area. Betel Box has a large, homey common room shared with reception and includes space to eat, a pool table, a large flatscreen TV with huge selection of movies and very fast WiFi, with plenty of plugs and tables for those who’d rather surf Facebook than shoot pool. Dorms are oversized -- you could easily fit a ping-pong table in the empty space and the metal-framed bunks are comfortable. Lockers are supplied, though they’re only big enough for a daypack rather than a full pack. The bunk setup lacks the frills of some Singapore dorms -- no bed lights or personal plugs -- but this is also one of the cheapest places we tried. Bathrooms are the one weak spot and could really do with a solid sandblasting to get them up to the standard of some of the other hostels in our top ten. Disclosure: We’ve stayed at Betel Box many times over the years and Tony is a personal friend. 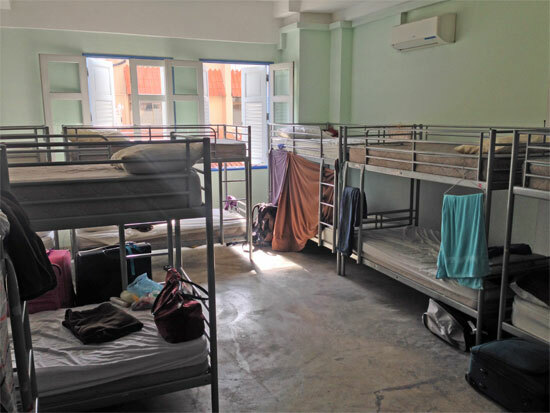 The rates we paid varied from $20 to $50 and while there are quite a few cheaper hostels in Singapore -- Ali’s Nest for example still does dorm beds for $12 -- it is very much a case of you get what you pay for, and in Singapore $12 doesn’t get you very much. If you’re looking for creature comforts, upping your budget from around $20 to $30 per night will more than pay dividends. That’s not to say the $20 places are not very good -- they’re great -- but the $30 places tend to be even better. The $50 pod hostels are more of an acquired taste and once there are two of you, an affordable hotel like the Kam Leng is a far better deal. Many of the hostels listed above also offer private double and triple rooms but these are near universally very poor value for money and you’re better off in an affordable hotel. Which to choose? Solo travellers looking for a backpacker vibe will feel right at home at The Inncrowd, Betel Box, Pillows and Toast or The Green Kiwi. Flashpackers looking for, well, more flash, try Beary Best!, Rucksack Inn, Bunc @Radius or Fisher BnB. The two Pod hostels will appeal to those looking for more comfort still, with the price tag to match. Location-wise, all the above are within a 10-minute walk of an MRT station. Little India, Kampong Glam and Chinatown have the biggest concentration of hostels -- and the best eating too! Where possible we booked through Agoda and the most we saved was $8 for a night at Pillows & Toast, while Bunc @ Radius was $3 more through Agoda than direct from Bunc. Overall though, most were slightly (a few dollars) cheaper via Agoda, so if you’re counting your pennies, compare prices online to see where the best deals in Singapore are.